I recently attended a two-day training in running theory and practice: Running Technique Coach offered at The Running School. Over the last 3 years I have heard from several of my PE colleagues in Europe that Mike Antoniades and his team at The Running School were game changers and have a lot to offer us. I decided to book a course in London to see for myself what all the fuss is about. When it comes to running I think I know my stuff thanks to over 30 years’ experience competing, coaching and teaching. As a result of the course, while I do know quite a bit, I now see, feel and understand that there is 1) so much more to learn and 2) that I will be able to improve my own running and that of others better than before. The course kept its promise and I am happy I went. When Mike Antoniades, who led the course, talks about running, his love for the movement performed well and to the best of each individual’s ability comes across loud and clear. Storytelling features strongly in Mike’s presentations. He uses a variety of case studies to illustrate how runners and movers at every imaginable ability level have trained and practiced according to his methodology and gone on to achieve remarkable results. Some of these case studies were accompanied by before and after videos which proved helpful to us novices in recognizing changes made. Mike has spent decades delving into the intricacies of the human body that converge to yield functional running: biomechanics, physiology, neurology, and psychology. What struck me is that his love comes not from having been the best or fastest runner, but from having learned how to recover from injury. Getting better is at the heart of his practice and that makes more of a difference than one might imagine. Mike has worked with some ridiculously high level athletes, Olympians, pros, European and World Championship material in numerous sports (soccer, American football, track and field, triathalon, rugby) and he emphasized that everyone has room for improvement. The motor interruptions caused by injuries large and small have repercussions throughout our movement lives. For top athletes, the ability to stay healthy, functional and in good form presents huge challenges to the body systems. 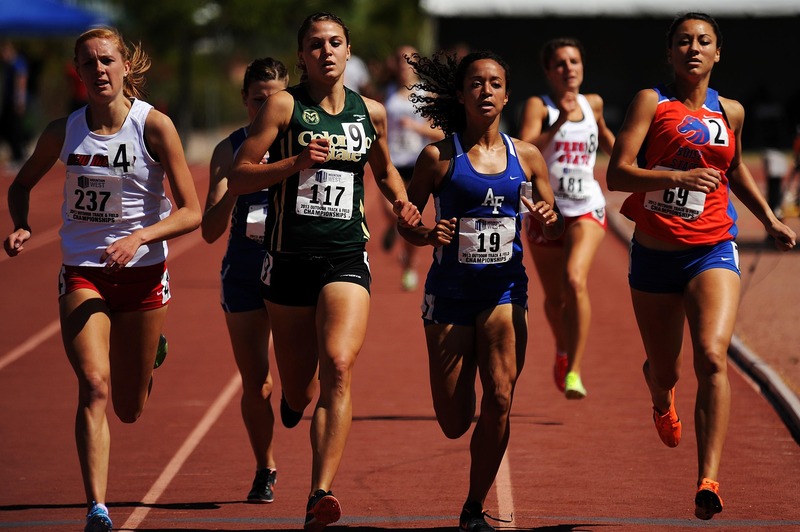 Deliberately practicing the most efficient running technique which reduces the risk of injury and increases speed can go a long way in serving the ultimate performance goal of the individual athlete. And for the rest of us the same is true even if we’re not aiming to qualify for a championship team. Essential to the Running School’s practice is this understanding: “Everyone can have their own perfect running technique based on what they are trying to achieve and their body type.” (Running School Manual, Running Technique Course, 2013., p.24) This point was critical for my buy-in to a visibly well-marketed methodology: seeing that the uniqueness of the individual including their goals, histories and specific physical state provides the starting point for determining a program rather than the other way around. Among exercise and training offerings designed to appeal to many this capacity to adapt to and accommodate the individual is not always a given. Our group of 8 students between the ages of 20 something and 60ish demonstrated plenty of individual diversity. Granted, we were all fairly fit individuals including 3 PE teachers and 4 personal trainers who brought various movement histories along with us. My goal for the two days was to complete the course without injury. I had been running a bit more consistently for the last 4 weeks in preparation (35- 70 min. 3 times/week) and so felt in reasonable cardiovascular shape but also keenly aware of tightness in both Achilles tendons and the hamstrings. The practical sessions had a huge impact on my learning. It was in the doing and processing the doing that my many questions arose. I had so many questions over the two days! What if folks aren’t interested in running faster? Do well-trained athletes need longer to re-pattern their movements? What to do if individuals’ fitness levels are poor (i.e., unable to run more than for short bursts)? What are your tips for recovery between sessions? Why so many reps of this exercise? and how often per week? And what about Paula Radcliffe’s technique? (British Olympic marathoner – look it up) This almost never happens to me in traditional PD sessions. My brain was fired up trying to process and connect all this new input to previous knowledge and experience. During the sessions on theory, Mike’s interjections of stories helped me make sense of the information he was presenting and give it a home in my brain that was feeling pretty full. When I first sat down to write this post I found that I kept coming back to the past. My own running past. I’ve been a runner for almost 38 years. And my earliest experiences were so positive and affirming that I kept coming back. This course helped me appreciate the fact that I had very good coaches and teachers along the way from whom I learned good technique. Having run track all four years of high school, two years of college and then as an adult with varying levels of intensity, I can count myself as fortunate to have sustained very few injuries. I can likely attribute much of that to good technique. What I also found in reflecting on that long running past was how much love I have for the movement and the sport. That explains why coaching track has been my most consistent professional gig, why examples of excellent running form are easier for me to retain than best times, why I enjoy the camaraderie among runners of various ability levels. Truly the running technique course was among the very best professional development opportunities I have taken in many years. I learned. I am applying what I learned. I am sharing what I learned. I look forward to adding to what I learned. I’m inspired, fired up and ready to roll (or cycle, would be more appropriate here.). I can hardly wait to see what’s next.